Sometimes, you are short of words, sometimes you are too full of words that you want to explode and let it out with someone you know. It is said that when people are deeply connected with each other, they don't need to speak. They intuitively know each other's thoughts. I guess this is how mothers come to know of their children's issues even before they speak. Deep bonding. Mothers even come to know the mood of their offspring right when they step back into the home. Last month, our ex-President of India, APJ Abdul Kalam passed away, while delivering a lecture at a prestigious educational institute. We can say, he died with his boots on. On his job! Very few get to do that. But why is he so popular with the masses? Because he spearheaded the missile revolution in India and knew how to connect with people. AND, he lived simply. How many people do we know who have been a popular government figure but do not own a home? Too few. He was one amongst them. 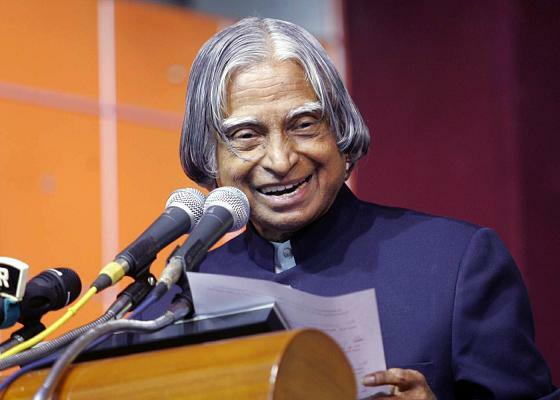 Sir Kalam did not own his home in Delhi or elsewhere, except his ancestral home in Rameshwaram. When he died, he only had a couple of shoes pair, 4 set of clothes and some money. He preferred simple food and did not fuss about anything. Inspite of being once upon a time, the 1st man of the country. There were no bad name attached behind him in his illustrious career. And yet, some stupid scientist from our neighbor country, Mr Khan said he was just an ordinary scientist. Hell yeah, he was ordinary, BUT, he was EXTRA-ordinary. There is much difference in that. I don't intend to put some links right now which refer to him as there are plenty available on the internet. I remember my indirect association with him some 11 years back or so. When I was nearing my 20, I had written him a letter on an important topic expressing my concern, He was the President of India. I never expected a reply back from him. Yet, I was elated when the postman asked for some sweet one afternoon and he handed me the coveted letter from his office. One was a receipt and one was his reply. Unfortunately, I lost his personal letter to me, if I remember he wrote it but the receipt still remains.